We recognize the important role that mothers play in families. 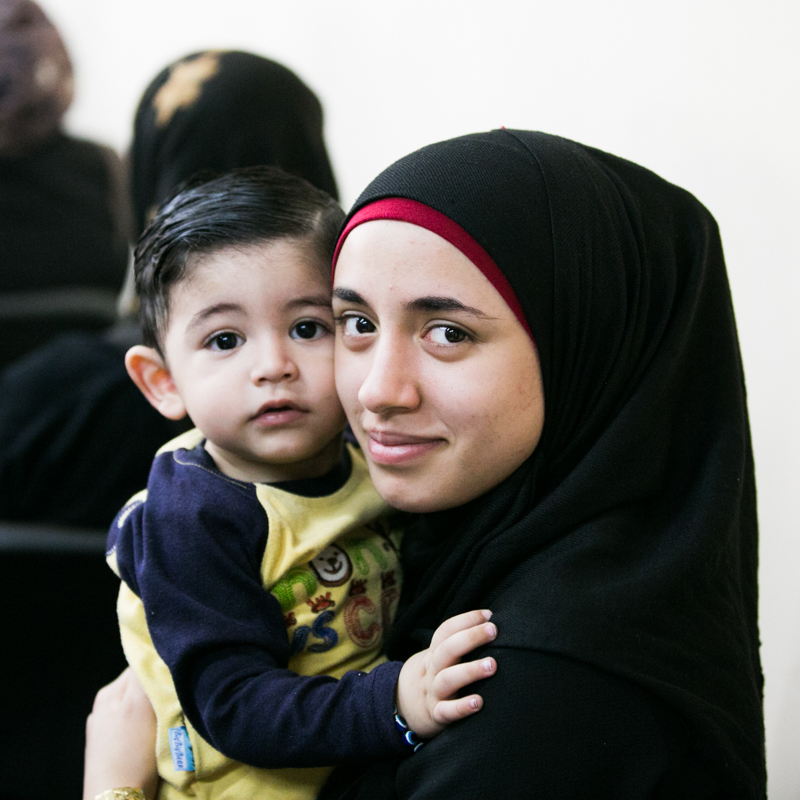 We believe it is critical that we find ways to support refugee moms. So many of these women lost their husbands. Not only does this mean they are the only potential provider for their children, but this also increases the risk of being exploited. Many young women have lost their mothers and aunts and desperately need guidance as they navigate motherhood. Every week our local partners are teaching parenting classes in nursery schools, community centers, and in refugee camps. At the community center in between refugee camps, women are able to see a doctor and through the basic health classes, they are learning about hygiene and how to best take care of themselves despite their situations. As new moms, refugee women most worry about their babies. Being able to provide them with formula and diapers has a profound effect on them. Their gratefulness is tangible. We also believe that in providing hygiene products we are able to help restore some dignity to them. Several times a year we provide Trauma Training for those who work with refugees. Sometimes refugees themselves have become the volunteers. One group of women who had lost their husbands to ISIS formed a support group. After going through our training they were better able to help guide their fellow widows through the grieving process. One of the goals of offering weekly classes and events is to provide a place for women to find new social support through the groups. Not only are mentor relationships being formed, but so are friendships between refugee women. We believe this is key to their journey of healing. Many of the have lost husbands or fathers who provided for them and their children. We believe strongly in providing skills-training classes to equip them and reduce the chances of them being exploited. So far our classes have included Sewing and Beauty (Hair styling). With each campaign women were then equipped with machines or kits to start their business.